Are you feeling as though your life is off balanced? Look at the wheel below. Chances are you are neglecting one of your quadrants. 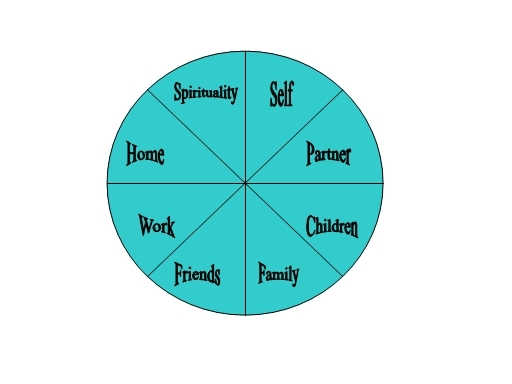 You must devote time (doesn’t have to be equal time) to each quadrant in order to remain whole.